Life can move pretty fast--especially when you're in the third grade, your teenage sister's moods drive you crazy, and your mom has a suspicious secret she just won't share. Plus, Mr. Quimby's new job offer could have the entire family relocating. It's a lot to handle for Ramona. But whatever trial comes her way, Ramona can count on one thing for sure--she'll always be Ramona...forever! Ramona's life changes the moment Howie Kemp's mysterious uncle arrives from Saudi Arabia. Howie and his sister, Willa Jean, talk only about Uncle Hobart. Ramona's mother makes secret phone calls and stops eating dessert, and Aunt Bea is hiding something, too. Whatever surprises are in store, Ramona is determined to be happy and helpful. 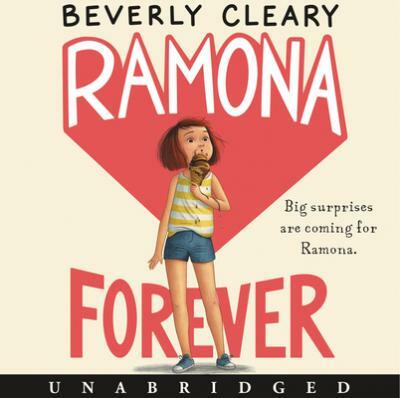 Whether she's pleasant or pesty, brave or blunderful, she's always wonderful Ramona--forever!